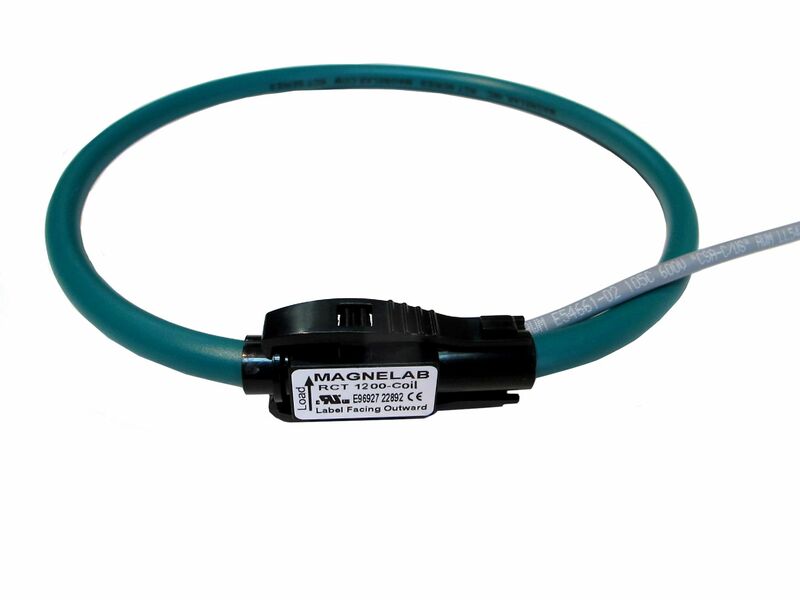 The Magnelab RCT-1200 is a single-phase flexible Rogowski coil (Rope CT) that measures AC current up to 15,000 amps with an output of 0.333 Vac and an industry leading 0.5% linearity accuracy. In addition, it provides an output of 0.070 volts AC at 1000 amps through the primary when operating at 60Hz (at 50 Hz the output is 58.33 mV per 1000 A). Furthermore, it has a 12″ length, 6″ diameter and is extremely flexible. 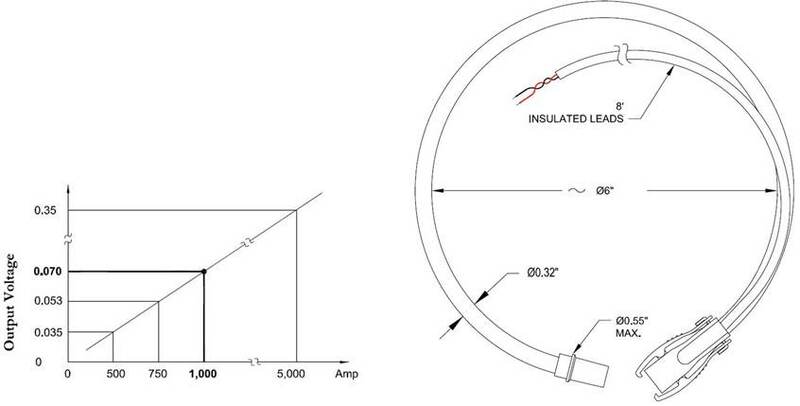 The flexible Rogowski coil opens at the connector junction and may be installed on a bus bar or existing cable in a matter of seconds. The RCT-1200-000 is sold without an integrator. Accordingly, see the RCT-1200-250 through RCT-1200-3000 to purchase this Rogowski coil with a single-phase integrator. For areas with limited space, you may purchase a uniquely shaped version of the RCT-1200 (RCT-350T). This coil, known as a ‘tear drop’ because of its shape may also be purchased with or without an integrator. You may buy the coils individually, or as part of the RCS-1200 three-phase flexible AC current sensor system that integrates multiple coils with an output of 0.333 volt AC and includes an integrator and power supply. The linearity accuracy of the RCT-1200 is 0.5%. It is important to know your measuring needs so that you include the right integrator. The coil itself does not require an external power supply; however, the integrator requires between 12 and 30V AC or DC. This may be purchased from Magnelab as a separate option. If you intend to use your RCT-2400 with certain power meters, you will not need an integrator. These meters have a built-in integrator designed to work with Magnelab coils. Contact us at 303-772-9100 or at info@magnelab.com for more information on metering companies whose meters include the integrator for Magnelab coils. This device is most commonly used in power meters, energy sub meters, condition monitoring, power quality monitoring and distributed measurement systems. 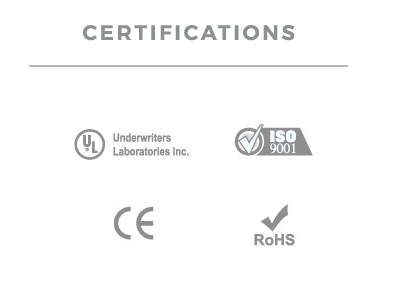 It is fully UL, CSA and RoHS compliant, as well as meeting CE and ISO standards. This product is made in the USA.